Native Advertising - What Does A Native Advertising Team Look Like? Building a content studio as part of a new publication can be tricky. You want to model what works, but so few have done it and shared their stories. Melanie Deziel sits down with Sam Rosen, SVP of Growth at The Atlantic, and Annie Granatstein, Head of WP BrandStudio, to discuss their objectives and key takeaways from building their teams. 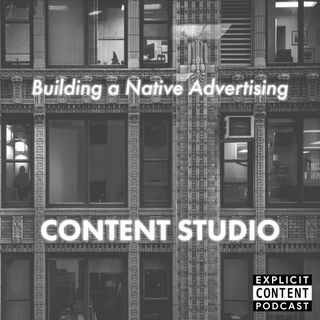 Jeff and Melanie fill in the conversation with their own insights from building brands and agencies and some of the pitfalls that can arise. Thank you ... See More for listening to the Explicit Content Podcast. For more information, check out enterprisemarketer.com.